Being born in a highly musical family, his father played clarinet and his brother, Garbis, was a renowned saxophone player, Capriel started teaching himself guitar at 14 years old and just two years later he debuted in a quartet with his brother and other established musicians. His first compositions like Noaptea, Amintiri or Cafeaua de dimineata date back to the early 80's. 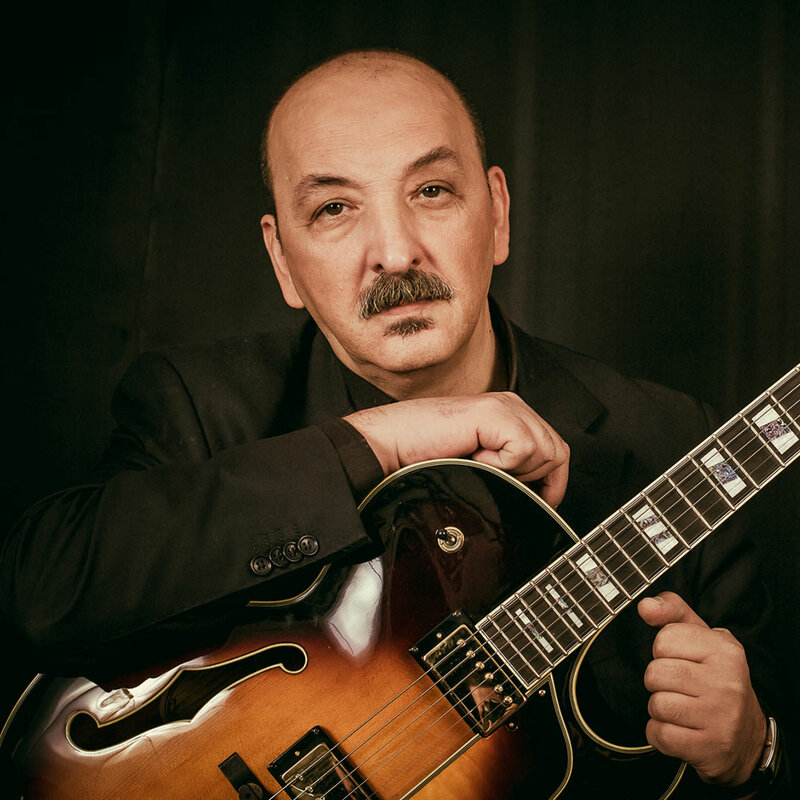 Capriel is a pillar of the Romanian Jazz community and has been applauded at both Romanian and foreign Jazz Festivals. Between 1993-1997 he played in Germany with the "Solo Group". Besides sharing the stage with some of the biggest names in Romanian Jazz, Capriel is also an established studio/session guitarist. Not only that but he also wrote film scores for productions such as The Tell-Tale Heart, Armenopolis, Noravank, Hagigadar, Booking My Last Dance and Strunga dintre moarte si viata. His love for Jazz can also be found in his books as Capriel Dedeian has published 4 books on theory and guitar playing since 2010.